AZUD Helix System filtration range is based on low maintenance and optimum safety in filtration. Centrifugal Action device system. Optimization of the performance and minimum frequency and intensity of maintenance labors. Disc filtration. Maximum safety. Its studied design and the materials used in its manufacture guarantee a long life and high resistance. Wide filtering area. AZUD filtration grades go from 100 to 400 micron. 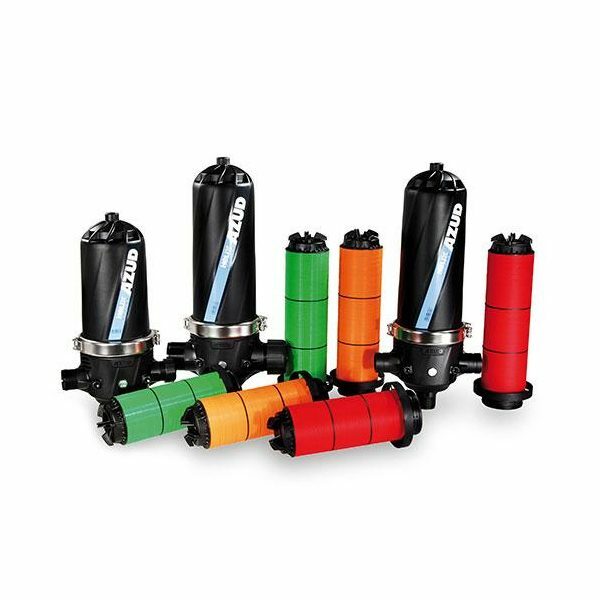 AZUD Helix Systems filtration range is based on low maintenance and optimum safety in filtration. Centrifugal Action device system. Optimization of the performance and minimum frequency and intensity of maintenance labors. The exclusive butterfly system of closure of the filtering element, which allows an easy decompressor of the discs’ stack. Easy handling and at the same time prevents the missing of discs. This is translated in a lesser frequency and intensity of the maintenance labors, with the subsequent saving of water.